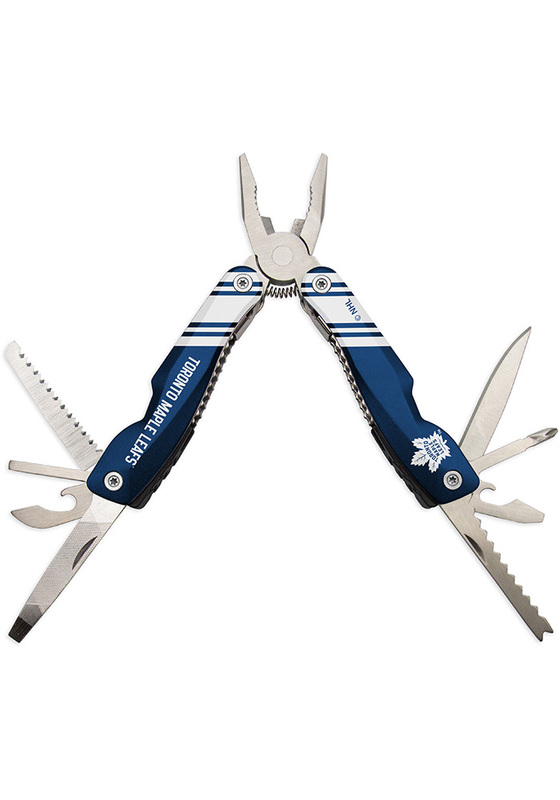 Give your favorite Maple Leafs fan a gift they're sure to love with this Toronto Maple Leafs Utility Multi Tool. This Tool features a Phillips/Slotted Screwdriver, Needle Nose Pliers, Standard Knife, Imperial Ruler, Bottle Opener, Wire Cutter, Wood Saw, Gripper, Punch, and File. Each Multi-Tool has a dazzling aluminum body featuring team logo and colors. Go Maple Leafs!